I made hash browns with eggs for a special Saturday morning breakfast only to discover that my kids don’t like hash browns. What to do with these leftover potatoes? 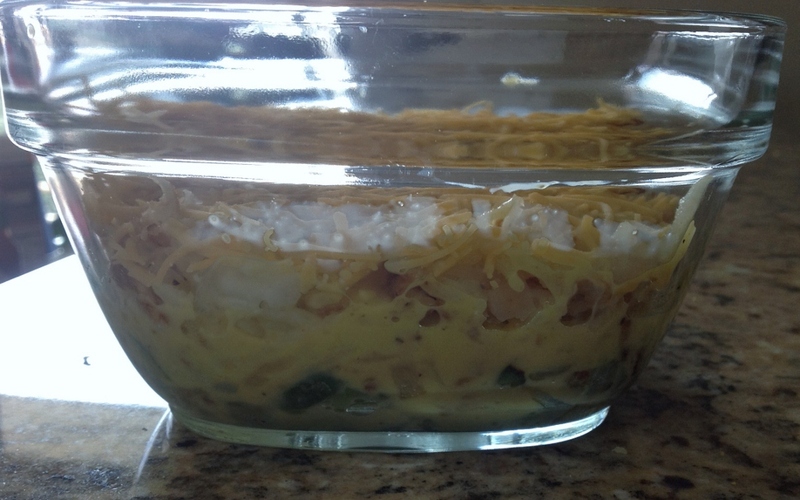 I quickly searched the Internet and found a recipe idea using ingredients that I already had in the fridge. I made a few adjustments and it was perfect! The nice thing about this recipe is that you can easily change the vegetables to what you have in the fridge. Mushrooms, red peppers, or leftover breakfast meat would all work great in place of the green peppers. First, saute your veggies until they are nice and soft. Then whisk eggs with seasonings and half and half. Place your veggies at the bottom of a small oven safe casserole dish. Then add your leftover hash browns, pour egg mixture over and top with cheese. Bake at 425 degrees for 25-35 minutes and then enjoy! Preheat oven to 425 degrees. Spray skillet with non-stick cooking spray. 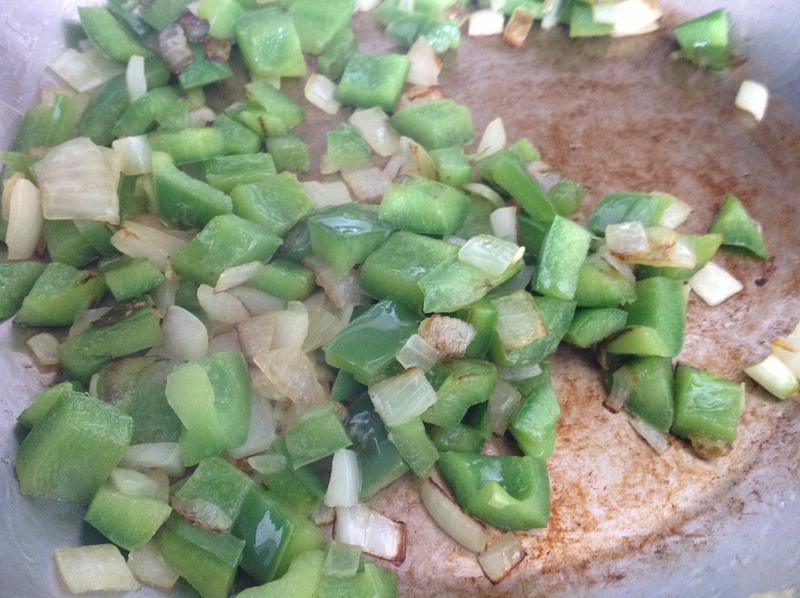 Saute green peppers and onions until soft (~5 min). 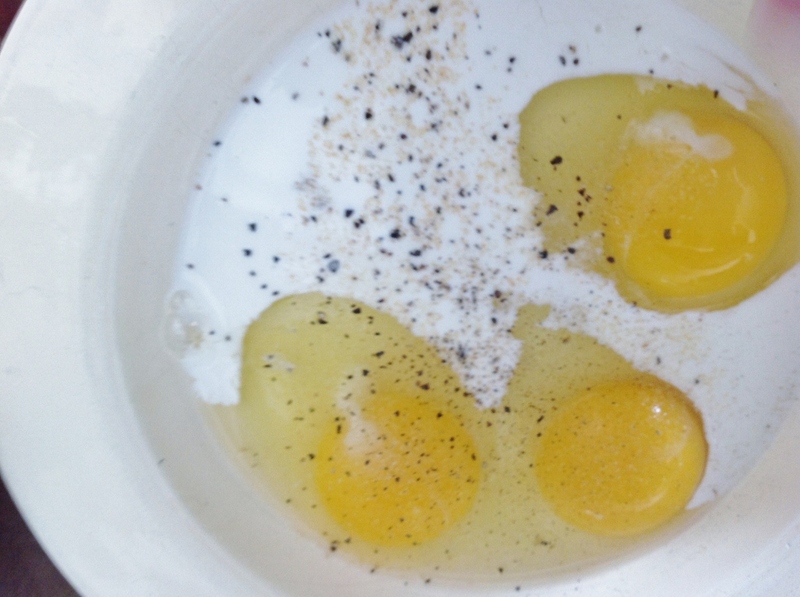 Whisk eggs with half and half, black pepper, salt and crushed red pepper until well beaten. Set aside. Spray small oven safe casserole dish with non-stick cooking spray. Place vegetables at bottom of dish. Top with hash brown potatoes. Then pour egg mixture over layers. Top with shredded cheese. Bake, uncovered for 25-35 minutes or until eggs are set. Sue-yum!! The roasted veggies that you mention sound amazing! !